Russian President Vladimir Putin says the U.S.-North Korean summit has reduced the threat of a major conflict. Speaking at a meeting Thursday in the Kremlin with the North Korean parliament speaker, Putin said "we welcome and highly assess" the summit between President Donald Trump and North Korean leader Kim Jong Un. Putin noted that the standoff over North Korea "worried the entire world and could entail grave consequences, including a major military conflict." 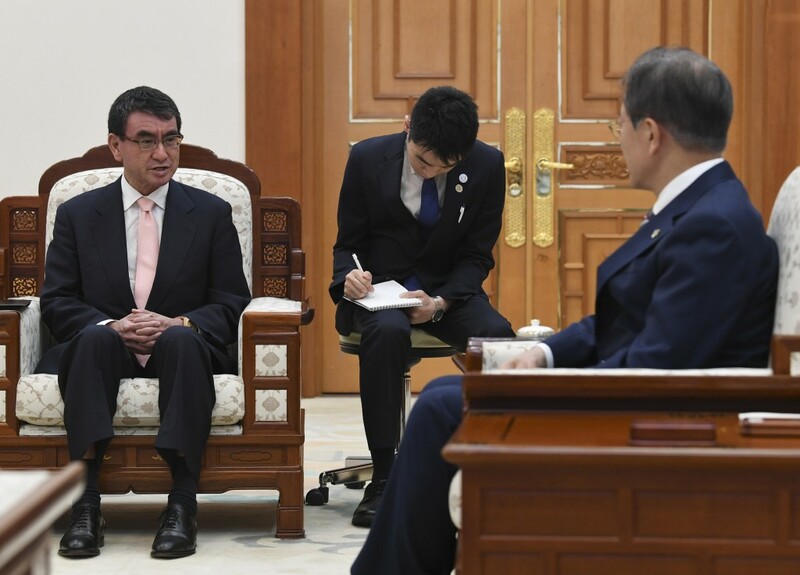 He added that the meeting helped "push back that unfavorable scenario and raised prospects for solving all the problems with peaceful and diplomatic means." The head of the Supreme People's Assembly, Kim Yong Nam, handed Putin a letter from the North Korean leader. Putin reaffirmed his invitation to Kim to visit Russia. South Korean President Moon Jae-in says South Koreans strongly support the outcome of the summit between President Donald Trump and North Korean leader Kim Jong Un and that bad reviews of the meeting were from people "isolated" from public thinking. 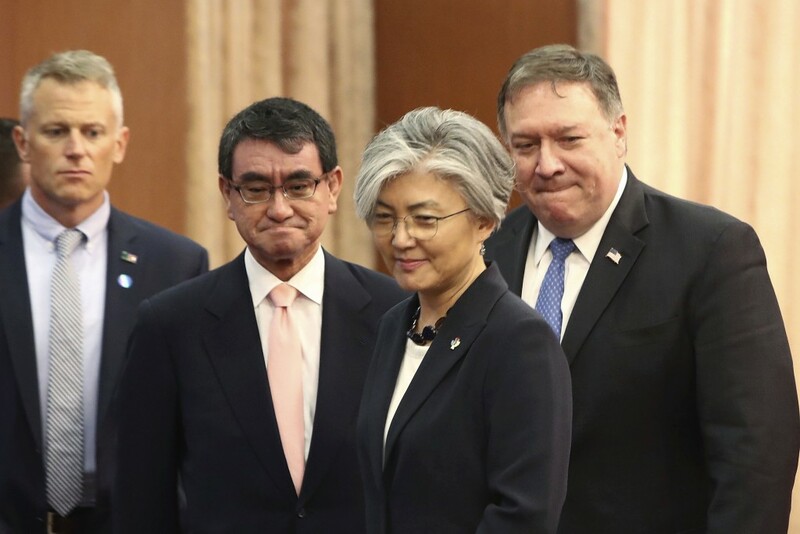 South Korean presidential spokesman Kim Eui-kyeom described Moon's comments from a meeting with U.S. Secretary of State Mike Pompeo on Thursday. Pompeo said in Seoul that Trump's tweet about North Korea no longer posing a nuclear threat was made "with eyes wide open." 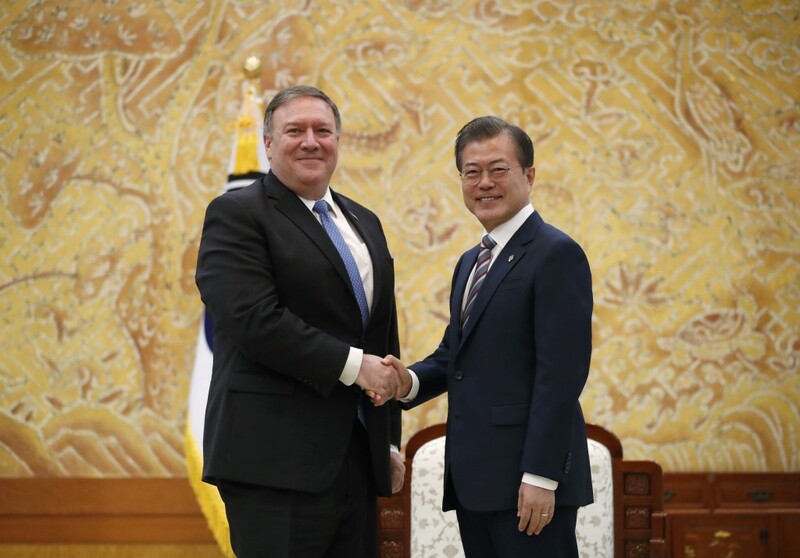 Moon and Pompeo also agreed that Washington, Seoul and Pyongyang could collaborate on recovering the remains of soldiers missing and presumed dead from the 1950-53 Korean War. U.S. Secretary of State Mike Pompeo says there will be no sanctions relief for North Korea until it denuclearizes. 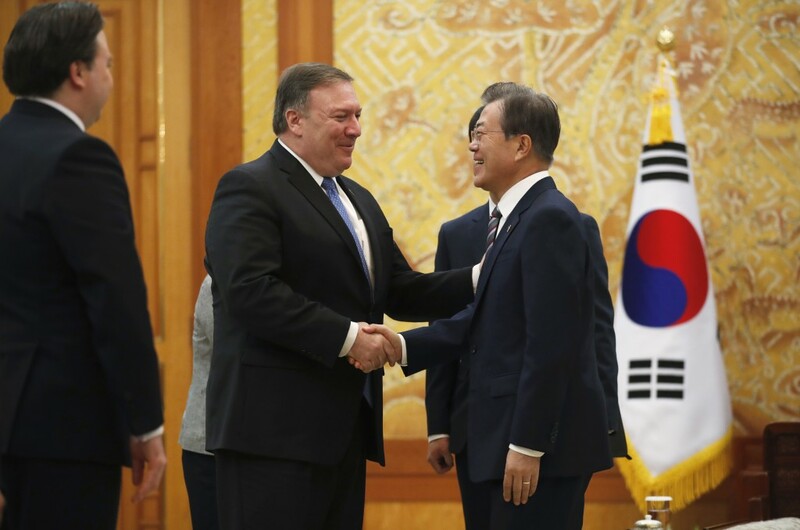 Pompeo is pushing back on a report from North Korean official state media that said President Donald Trump and Kim Jong Un had agreed to a "step-by-step" process. 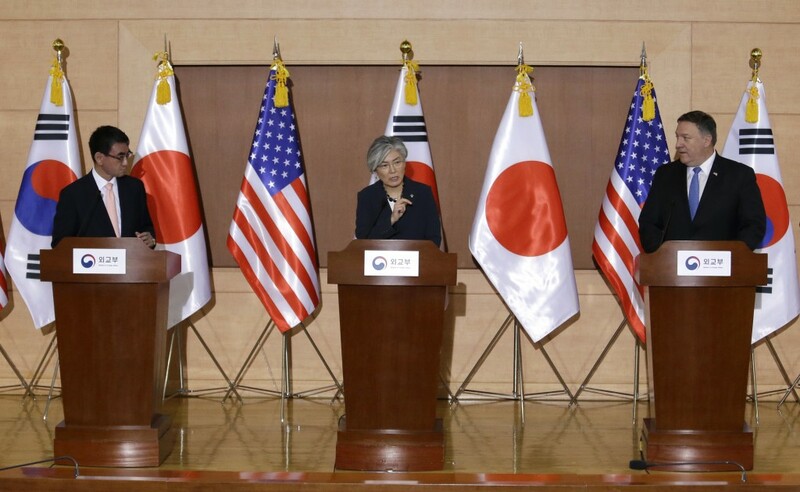 That was interpreted as meaning the U.S. would grant concessions to North Korea concessions along the way despite longstanding U.S. insistence that it would not. Pompeo says Trump has been "incredibly clear" about the sequencing of the process. 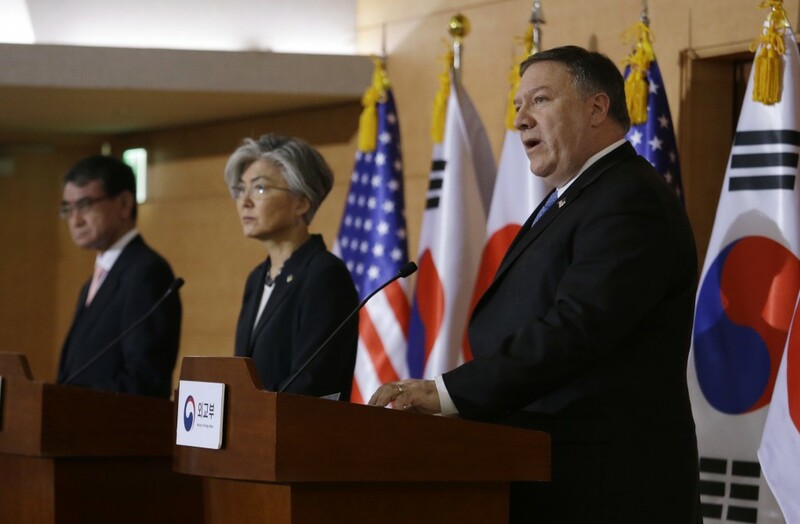 Speaking alongside Japanese and South Korean foreign ministers in Seoul, Pompeo says that "we're going to get denuclearization." He says that "only then will there be relief from the sanctions." U.S. Secretary of State Mike Pompeo says President Donald Trump's comment about North Korea no longer posing a nuclear threat was made "with eyes wide open." 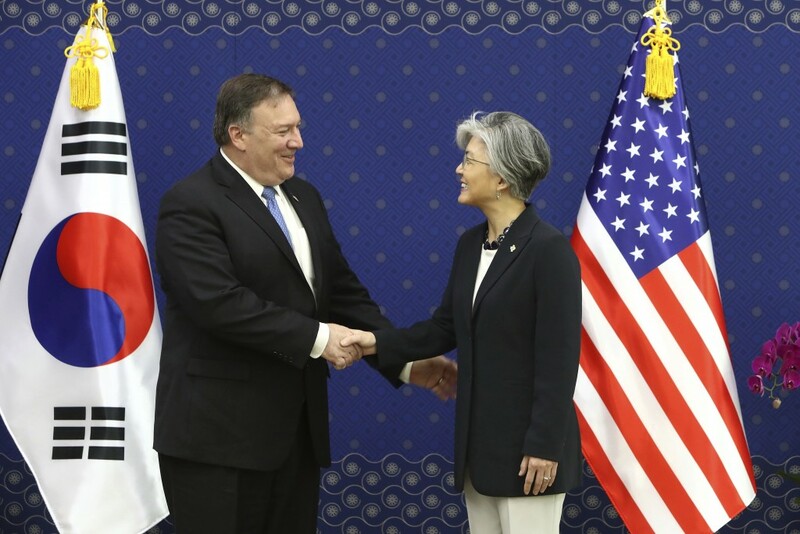 Pompeo is meeting with the Japanese and South Korean foreign ministers in Seoul. He's defending Trump's tweet just after returning from Singapore in which he said the world can "sleep well tonight" and that "there is no longer a nuclear threat from North Korea." Pompeo says Trump was referring to the fact that for the first time in history, a U.S. president sat down with a North Korean leader. He says Trump and Kim Jong Un had a "blunt conversation" about changes needed for North Korea to rejoin the world community. 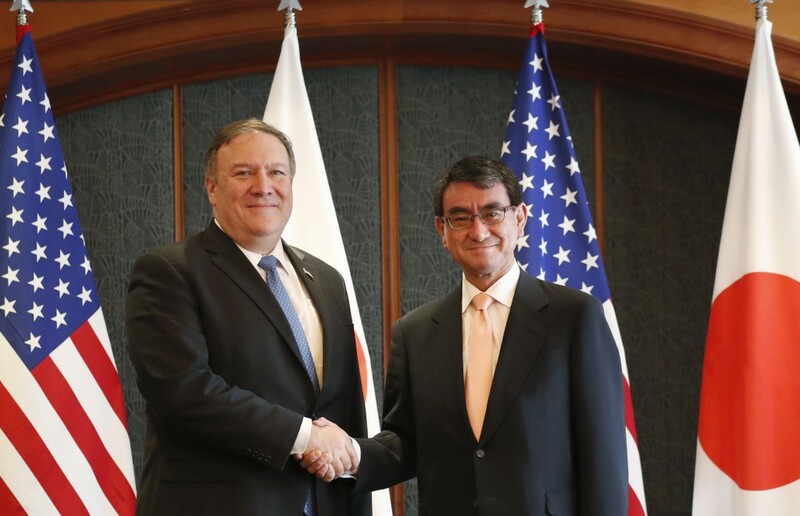 Pompeo also says that Trump was "unequivocal" with Kim about the need for North Korea to return abductees from Japan seized by the North in the 1970s and 1980s. The top diplomats from the United States, Japan and South Korea are discussing the North Korean nuclear threat and U.S. diplomacy with Kim Jong Un. 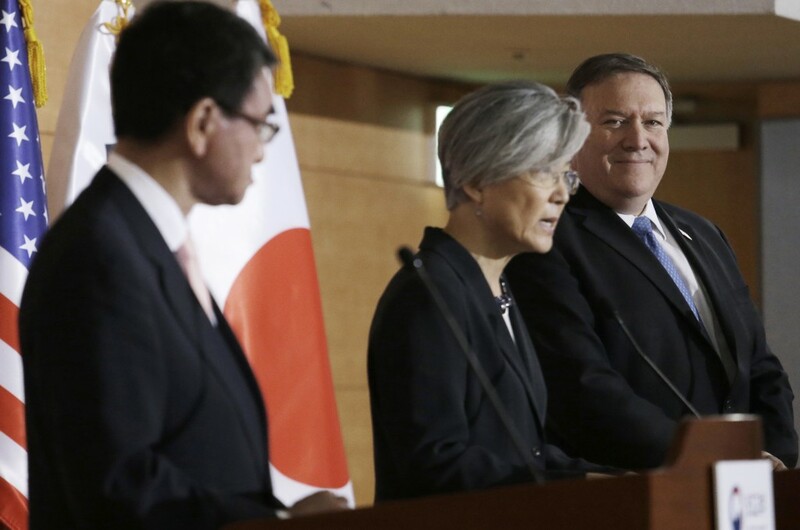 U.S. Secretary of State Mike Pompeo joined Japanese Foreign Minister Taro Kono and South Korean Foreign Minister Kang Kyung-wha in Seoul. The three posed for photos before sitting with their delegations at three tables arranged in a U-shaped formation. 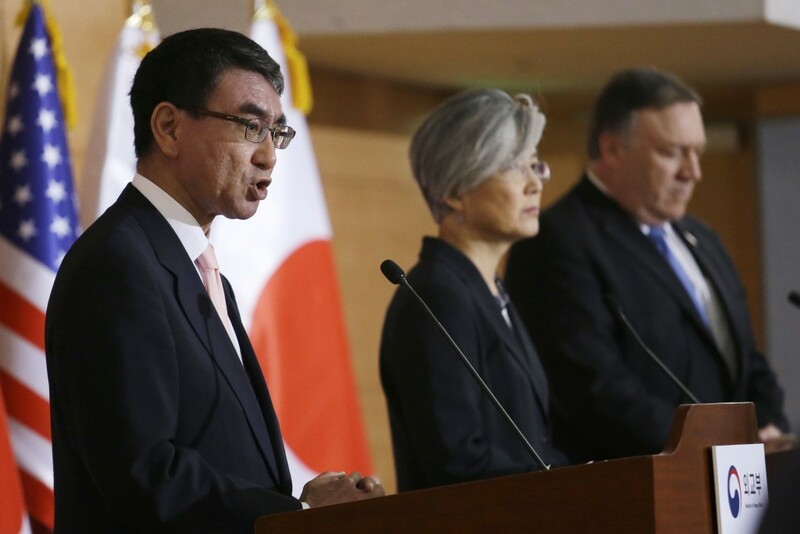 They ignored a shouted question from an American journalist about President Donald Trump's decision to halt joint U.S.-South Korean military drills. The three-way meeting comes as U.S. allies and South Korea seek more details about Trump's unprecedented nuclear summit with Kim in Singapore on Tuesday and what's next for U.S. nuclear negotiations with the North. The rival Koreas are holding rare high-level military talks to discuss reducing tensions across their heavily fortified border following North Korean leader Kim Jong Un's summit with President Donald Trump. It's possible North Korean officials during Thursday's talks will seek a firm commitment from the South on stopping military drills with the United States. Trump said after his summit with Kim on Tuesday that the joint military exercises should stop. South Korea has said it's trying to discern Trump's meaning and intent. 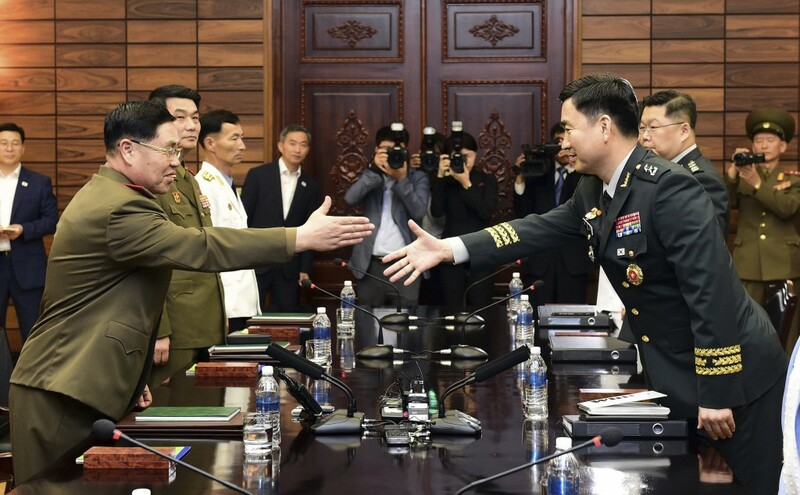 Seoul's Defense Ministry says the military talks will focus on carrying out agreements from a summit between Kim and South Korean President Moon Jae-in in which they vowed to take steps to reduce military tensions and eliminate the danger of war. They may also discuss efforts to recover the remains of Korean War soldiers.